ROSS, JAMES, railway engineer, businessman, and philanthropist; b. 1848 in Cromarty, Scotland, son of John Ross, a shipowner, and Mary McKeddie; m. 1872 Annie Kerr of Kingston, N.Y., and they had one son; d. 20 Sept. 1913 in Montreal. 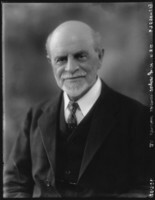 James Ross was active in many Canadian and international business ventures. His Canadian career can be divided into three distinct periods. During the first, he was one of the great railway contractors of the day. His early education at Inverness Academy in Scotland had been followed by studies in engineering in England. He began his professional career as a junior engineer on several railway, harbour, and waterworks projects in Great Britain. In 1868 he emigrated to the United States. There he found work on the construction of the rapidly expanding American railway network. In 1870 he was appointed resident engineer of the Ulster and Delaware Railroad; he subsequently became its chief engineer. In 1873 he went west to become resident engineer of the Wisconsin Central Railroad. He would hold the same post with the Lake Ontario Shore Railroad. Work on the Lake Ontario line brought Ross into contact with George Laidlaw* and other ambitious railway promoters from Ontario with excellent political and financial connections. 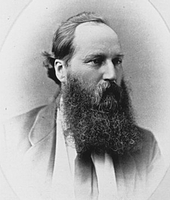 In 1878 Ross was appointed chief engineer and general manager of the Victoria Railway. At that time the railway was only a 55-mile colonization line between Lindsay and Haliburton, Ont., but its promoters had big plans. Not only were the Victoria and its sister line, the Credit Valley Railway, eligible for municipal and provincial subsidies because they opened up territory north of the St Lawrence lowlands, but these railways might also become feeders or links in a system between Montreal and Toronto. 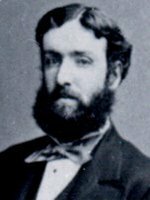 Laidlaw was a personal friend of Prime Minister Sir John A. Macdonald*, and enjoyed cordial business relations with George Stephen*, who would become the first president of the Canadian Pacific Railway. 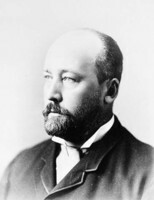 Manager and chief engineer of the Victoria Railway, Ross also served in 1878–79 as construction manager for the Credit Valley Railway. While working on the projects he met several young, ambitious railway builders. The first of these was Herbert Samuel Holt*, who became Ross’s assistant on the Credit Valley Railway. Another, William Mackenzie*, cut ties and built several of the timber bridges on the colonization railways. In 1880 the contract was signed to build the CPR. Initially the new CPR syndicate awarded all its major construction contracts to experienced American builders, but late in 1882 dissatisfaction with American contractors and a growing financial crisis prompted the syndicate to alter its plans radically. A new financing and construction company, the North American Railway Contracting Company, controlled by the CPR syndicate and financial interests from New York, was incorporated in New Jersey. The company undertook to complete the remaining uncontracted parts of the transcontinental line in return for the unsold capital stock and bonds of the CPR. Ross was appointed manager of construction for the mountain section by the new firm. When Ross assumed his post, the end of track in the west was at Calgary. It would be his responsibility to build the most difficult portion of the main line, over the Rocky and Selkirk mountain ranges, to the point where his crews would meet those of Andrew Onderdonk*, working eastward from the Pacific. Ross immediately secured the appointment of Holt as superintendent of construction. The two rejected the idea of letting larger contracts to established American firms, choosing instead to divide the work among many smaller contractors and subcontractors, including those who had built the Credit Valley and Victoria railways. Construction proceeded satisfactorily in 1883, but the North American Railway Contracting Company’s financial arrangements failed that year, forcing the CPR syndicate to seek additional funding from the federal government. A condition of the aid was that the syndicate assume direct responsibility for construction at the end of the 1883 season. Ross’s role was not significantly altered. 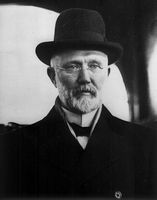 He retained his position but reported directly and frequently to the CPR’s general manager, William Cornelius Van Horne. These reports and Van Horne’s responses clearly indicate that, at the end of track, Ross was in charge. He enjoyed Van Horne’s full confidence and he discharged his responsibilities in such a way that the CPR granted him a generous bonus when the work was completed. In 1886 Ross was appointed manager of construction for the CPR’s Ontario and Quebec Railway, which had been created to link a number of local Ontario lines, including those that had been promoted by Laidlaw, into a CPR line from Montreal to Windsor, where traffic would be exchanged with the Michigan Central Railroad. Ross was to fill in the gaps in Ontario and Quebec. Once those were completed, he and his retinue of contractors signed agreements to build the eastward extension of the system from Montreal across Maine to an all-season Atlantic terminus at Bangor, with an extension to Saint John. Following completion of the “Short Line” through Maine, Ross formed a partnership with three of his best contractors – Holt, Mackenzie, and Donald Mann* – to build three prairie lines promoted by independent syndicates but designed as northern feeder lines for the CPR. The four builders developed a strong team. Ross looked after major negotiations and overall management of the projects. Mann and his subcontractors were responsible for the preparation and grading of the roadbeds. Mackenzie organized the cutting of the ties and the timber work for trestles and bridges, and Holt was in charge of the laying of track, general finishing, and clean-up work. Between 1887 and 1891 the partnership built northward from Winnipeg, into the inter-lake region, the first 40 miles of the Winnipeg and Hudson Bay Railway. This line was followed by the Qu’Appelle, Long Lake and Saskatchewan Railroad, a 250-mile line from Regina to Saskatoon and Prince Albert (Sask. ), and by the Calgary and Edmonton Railway, a 300-mile line from Calgary northward to Edmonton and southward to Fort Macleod (Alta). All three projects were efficiently constructed and completed on time. The talented foursome understood and took advantage of the economic opportunities created by the construction of prairie railways. In the contract he negotiated to build the Qu’Appelle line Ross obtained titles to some valuable town-sites, while the contract to build the Calgary and Edmonton Railway provided similar opportunities for the other partners. As a result, the partners incorporated several land promotion and development companies, the most important being the Calgary and Edmonton Land Company and the Canada Land and Investment Company. Ross served as president of both, but he was also aware of other western business opportunities. 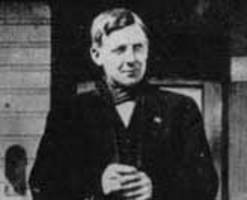 In 1887, with Stephen and Van Horne, he was among the promoters who established the successful Lake of the Woods Milling Company Limited, which bought and processed grain raised on the frontier opened by the railways [see Robert Meighen]. 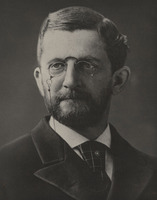 Two years later, he was the chief promoter and first president of the Columbia River Lumber Company, which provided timber for railways and urban and prairie housing projects. With the completion of work on the Calgary and Edmonton Railway construction came to a temporary halt in the depressed economic conditions of the early 1890s. Ross did not lose interest in railways, but these years marked the end of his career as a railway contractor. His talent, influence, and growing wealth would later earn him election to the board of directors of the CPR, the Bank of Montreal and its sister institution, the Royal Trust Company, and a large number of other businesses affiliated with the CPR. At his death in 1913 he was allegedly the largest holder of CPR stocks and shares. But in 1891 it was time to look for new opportunities and begin the second phase of his business career. These opportunities, seized by Ross and his former partners, involved the reorganization and electrification of urban tramway systems. 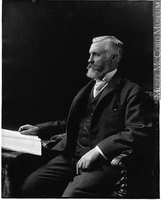 Mackenzie, the leader in these ventures, moved to Toronto, where, in 1891, he initiated the first major Canadian project in this field. The Toronto Railway Company would include such prominent investors as Ross, Van Horne, Joseph Wesley Flavelle*, Louis-Joseph Forget, and George Albertus Cox. Early in 1892 a comparable project for the Montreal Street Railway developed under Forget’s leadership and involved Mackenzie, Ross, Van Horne, and others. Mann, in the meantime, began a tramway electrification project in Manitoba, the Winnipeg Electric Street Railway, in which Ross, Mackenzie, and Van Horne were among the partners. Success in the largest Canadian cities encouraged the former contractors to undertake the reorganization and electrification of street railways in Saint John, Halifax, London, Ont., Birmingham, England, Mexico City, and a long list of Caribbean and Central and South American cities, the largest and most profitable of these companies being the São Paulo Tramway, Light and Power Company in Brazil. In 1912 a holding company, the Brazilian Traction, Light and Power Company [see Frederick Stark Pearson], was created to consolidate the numerous Canadian investments in Brazil and to finance the development of other public utilities. The efficiency with which these electrification projects were undertaken rivalled that of the railway contracting partnerships. The early electric street railways were run by electricity generated from coke-powered steam plants, but their promoters recognized the savings that might be achieved if the technical problems of generating and transmitting hydroelectric power could be overcome. All the former railway partners became involved in the organization, promotion, and financing of numerous hydroelectric works. In Montreal, Holt, not Ross, achieved a dominant position in the field as president of the Montreal Light, Heat and Power Company in 1901. 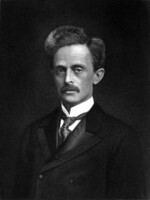 Ross became a leading influence in the Mexican Light and Power Company Limited, of which he was president from 1903 to 1906, and in the Mexico Tramways Company. Mackenzie controlled electric development in Toronto and São Paulo. Ross retained his interest and investments in street railways and hydroelectric projects, but in the third and final phase of his business career he concentrated on engineering ventures and became increasingly involved in coal and steel. In 1890 he had replaced Job Abbott* as president of Dominion Bridge Company Limited, a firm which had been responsible for many CPR bridges and which became a national leader in the construction of bridges and steel frameworks for large buildings. He would remain as president until 1913, during which time the company, as a partner in a joint venture called the St Lawrence Bridge Company, would become involved in one of its most famous projects, the construction of the Quebec Bridge [see Phelps Johnson*]. Although Ross has been described as the “driving force” behind the highly successful company, he was occupied with many other business concerns and was ably assisted in Dominion Bridge by its vice-president, James Pawley Dawes*. In 1901 Ross headed a syndicate which acquired the Dominion Coal Company Limited and the Dominion Iron and Steel Company Limited, both in Sydney, N.S., from Henry Melville Whitney* of Boston. At its acquisition the coal company had an unusual and disadvantageous contract with the iron and steel company to provide vast quantities of high quality coal at well below prevailing market prices. Attempts were made to renegotiate the contract immediately after Ross gained control of both companies, but in 1903 relations between the two jointly owned firms became strained. Both claimed that the other had reneged on vital aspects of the contract to supply coal. Ross resigned as president of the steel company that year, confident that Dominion Coal would prove profitable and that it had sufficient legal grounds to escape its onerous contractual obligations. The steel company passed to Toronto-based interests headed by James Henry Plummer*. The ensuing legal struggle degenerated into a protracted, costly, and bitter battle which eventually went to the Judicial Committee of the Privy Council in London. In 1909 the committee recognized that the contract was unbalanced and that there had been violations on both sides, but found that a legally enforceable contract had been signed. The case of the Dominion Iron and Steel Company was upheld and further negotiations were ordered to settle damages and other financial details. After this defeat, Ross withdrew from the Dominion Coal Company, paving the way for the amalgamation of the two firms in 1910. He also withdrew from most of his other business ventures, to devote more time to his family, his philanthropies, his exceptional art collection, and long cruises on his yacht. Ross, the son of a Scottish shipowner, had begun to take an interest in sailing shortly after he settled in Montreal in 1888. Over the years he owned a number of yachts, was a member of numerous yacht clubs, and held the position of honorary commodore of the Royal St Lawrence Yacht Club. He was the owner of the Glencairn, which won the coveted and prestigious Seawanhaka Corinthian Cup for half-raters in American waters in 1896. 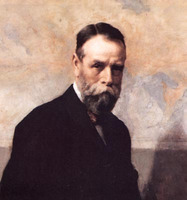 His status as a sailor was greatly enhanced in 1912 when he purchased the enormous steam yacht Liberty, after the death of its owner, New York newspaper magnate Joseph Pulitzer. He renamed it the Glencairn and undertook a world cruise to restore his health. Probably the most luxurious and one of the largest yachts in American history, it required a staff of 65 and had a full auditorium, numerous staterooms, and, of course, first-class dining-rooms. Unfortunately, the luxurious facilities of the yacht failed to restore Ross’s health. He returned to Montreal after his cruise, but his heart condition deteriorated and in September 1913 he died at his home in Montreal. James Ross was an ardent supporter and collector of art. He served as president of the Art Association of Montreal and was a generous benefactor, reputedly donating $25,000 during his lifetime and $100,000 in his will. 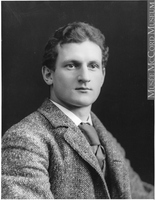 He also supported its erection of a new building in 1912, now the Montreal Museum of Fine Arts, and at the time of his death he had one of the finest Canadian collections of old masters and many works of European painters of the modern school. Ross was also an important and generous philanthropist. He paid for the construction of the Ross Memorial Hospital and Nursing Home in Lindsay, Ont., named in honour of his parents, and the Ross wing of the Royal Victoria Hospital in Montreal as well as contributed to the construction of the Protestant Hospital for the Insane in Verdun, Que. He served as president or director of the Royal Victoria and Montreal’s Alexandra Hospital, and was a benefactor of McGill University and a member of its board of governors. In religion Ross was an Anglican, in politics a Conservative; in the Canadian militia he served as honorary colonel of the Duke of York’s Canadian Hussars. Canadian Pacific Arch. (Montreal), Incoming corr. ; Shaughnessy letter-books; Van Horne letter-books. NA, MG 26, A; MG 28, III 20, Van Horne letter-books; MG 29, A30; D61. Gazette (Montreal), 20 Sept. 1913. Globe, 22 Sept. 1913. Christopher Armstrong and H. V. Nelles, Monopoly’s moment: the organization and regulation of Canadian utilities, 1830–1930 (Philadelphia, 1986); Southern exposure: Canadian promoters in Latin America and the Caribbean, 1896–1930 (Toronto, 1988). 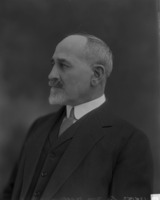 W. H. Atherton, Montreal, 1534–1914 (3v., Montreal, 1914). Pierre Berton, The last spike: the great railway, 1881–1885 (Toronto and Montreal, 1971). Canadian annual rev. (Hopkins), 1913. 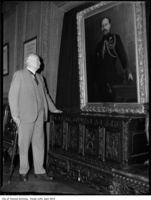 R. B. Fleming, The railway king of Canada: Sir William Mackenzie, 1849–1923 (Vancouver, 1991). Clarence Hogue et al., Québec: un siècle d’électricité (Montréal, 1979). H. A. Innis, A history of the Canadian Pacific Railway (Toronto, 1923; repr. Toronto and Buffalo, N.Y., 1971). W. K. Lamb, History of the Canadian Pacific Railway (New York and London, 1977). O. [-S.-A.] Lavallée, Van Horne’s road: an illustrated account of the construction and first years of operation of the Canadian Pacific transcontinental railway (Montreal, 1974). T. D. Regehr, The Canadian Northern Railway, pioneer road of the northern prairies, 1895–1918 (Toronto, 1976); “Letters from end of track,” in The CPR west: the iron road and the making of a nation, ed. Hugh Dempsey (Vancouver and Toronto, 1984), 37–53. Theodore D. Regehr, “ROSS, JAMES (1848-1913),” in Dictionary of Canadian Biography, vol. 14, University of Toronto/Université Laval, 2003–, accessed April 24, 2019, http://www.biographi.ca/en/bio/ross_james_1848_1913_14E.html.